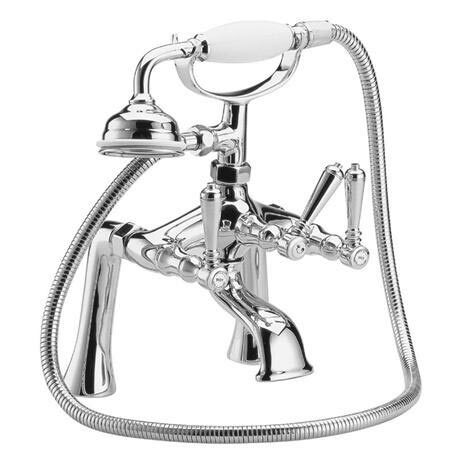 The Old London Chrome Victorian Bath Shower Mixer offers a Victorian style with a simple versatility that will complement any bathroom. The ceramic disc valve offers up to date technology whilst maintaining a traditional look. An ideal choice for those wishing to upgrade a classic bathroom. we recommend a minimum operating pressure of 1 bar for best performance. Combine with a shower and towel rail for timeless bathroom elegance. Recommend minimum operating pressure of 1 bar for best performance.